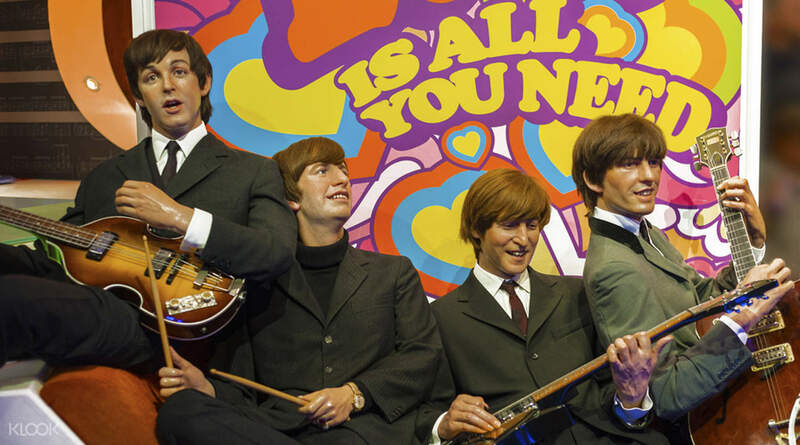 Explore the most famous wax museum in the world! 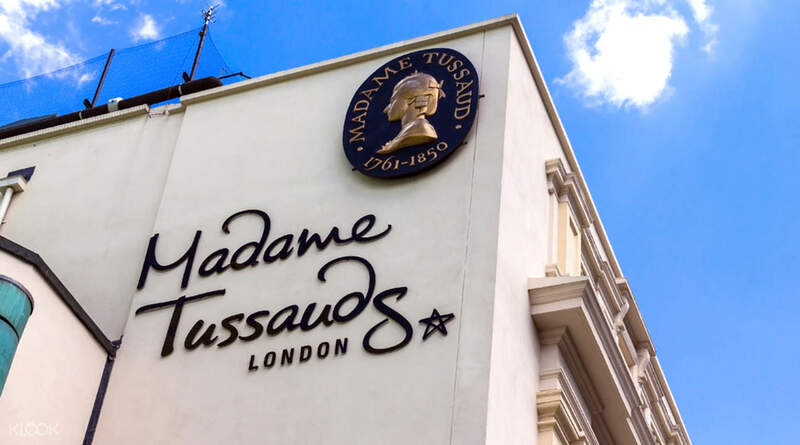 Immerse in the glitz, glamour, and spectacle of the world's most famous waxwork museum in London, the original Madame Tussauds to open over 180 years ago. Come face to face with your favourite stars like Kate Winslet and Helen Mirren on the paparazzi-filled red carpet, snap a selfie with Kim Kardashian, pose with Usain Bolt, and rub shoulders with the British royal family. With 14 themed interactive zones including the new Marvel 4D and Star Wars Experiences, you'll be guaranteed hours of photgraphic fun. Then, hop onboard a London cab for a journey through the city's history from Tudor England, the Great Fire of London, to the swinging sixties! 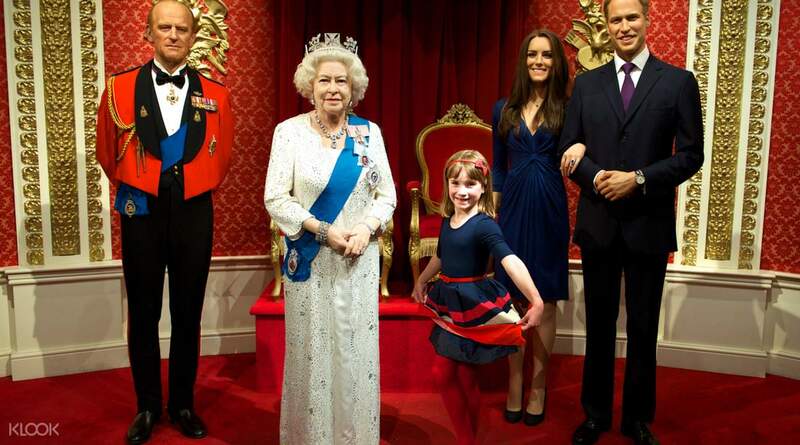 Pose with the royals and feel like royalty yourself! With Klooks Early booking online, I spare Pounds during this Madame Tussauds Experience.. Really great discount when you book here at Klook. And Also i came at around 4pm so that i will enjoy each view .. There were less visitors in the afternoon so better not to go early. With Klooks Early booking online, I spare Pounds during this Madame Tussauds Experience.. Really great discount when you book here at Klook. And Also i came at around 4pm so that i will enjoy each view .. There were less visitors in the afternoon so better not to go early. Worthwhile to queue for 1 hour for voucher exchange. Need to go to Door 1 first to exchange voucher and get ticket. 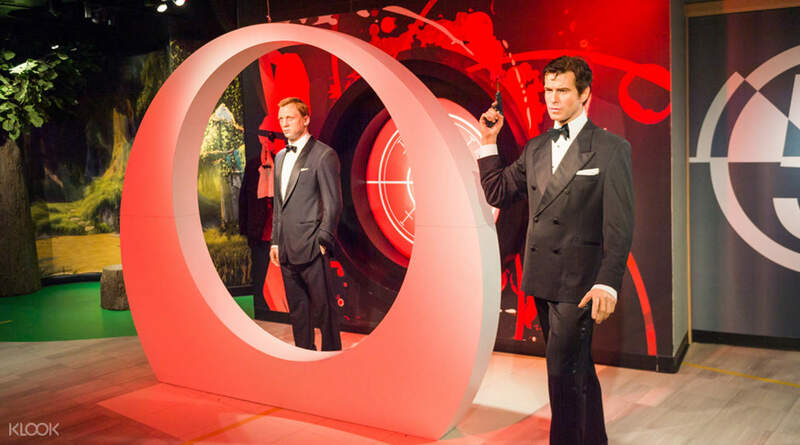 Then only can enter the Madame Tussauds. But don’t forget to come early morning or at 1pm. Because this time not crowded. Also plan to visit on weekdays. Worthwhile to queue for 1 hour for voucher exchange. Need to go to Door 1 first to exchange voucher and get ticket. 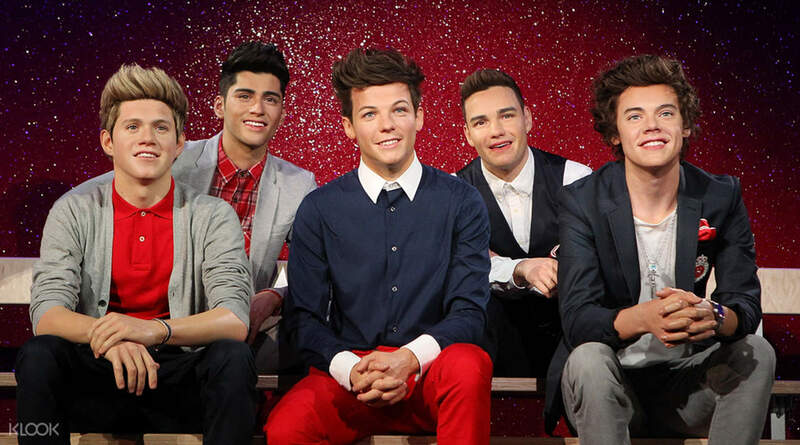 Then only can enter the Madame Tussauds. But don’t forget to come early morning or at 1pm. Because this time not crowded. Also plan to visit on weekdays. We had so much fun, taking picture with favorite actor & actress. Recommended! We had so much fun, taking picture with favorite actor & actress. Recommended! So glad I bought the fast track tickets from Kloox which allowed us to skip the long queue. Excited to see the new Harry and Megan wax addition. A great day out for the family. So glad I bought the fast track tickets from Kloox which allowed us to skip the long queue. Excited to see the new Harry and Megan wax addition. A great day out for the family. Best experience with my family 😘 recommended if u wanna come & visit london. This is a must place to come eventho sometimes it can get very crowded & full of people. Best experience with my family 😘 recommended if u wanna come & visit london. This is a must place to come eventho sometimes it can get very crowded & full of people. It was a fun experience. The queue was long but it was worth the wait. It was a fun experience. The queue was long but it was worth the wait.